Telephone interview with Tasuku Honjo following the announcement of the 2018 Nobel Prize in Physiology or Medicine, 1 October 2018. The interviewer is Adam Smith, Chief Scientific Officer of Nobel Media. Adam Smith: Oh hello, am I speaking to Professor Honjo? AS: Hello, my name is Adam Smith, calling from Nobelprize.org, the official website of the Nobel Prize. 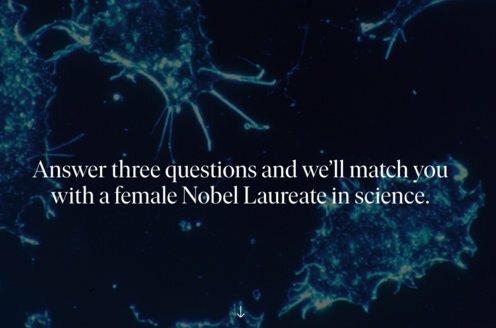 First of all, congratulations on the award of the Nobel Prize. TH: Thank you very much. It’s a great honour. AS: What was your first reaction on hearing the news? TH: Oh, well, certainly I am very much pleased and very much honoured. AS: It’s the first Nobel Prize awarded for cancer therapy for many years. What message do you think this sends? TH: As you say, for treatment certainly this is the first time, and I think that many people tried very hard to cure the cancer but fortunately we, Jim Allison and myself, studied this checkpoint inhibitor therapy. I mean, we discovered the principle, and this is really working. So for me it’s more than happy to see many patients – often I can see them telling me, “You saved my life”. This is my most enjoyable and, I would say, I’m very pleased to hear what I have done is really meaningful. AS: It shows that you never really know which way things will go in research, because you didn’t set out to discover a cure. TH: No, no. Well, you know, biology is such a complex system. It’s totally different from the engineering. We cannot design. Many people tried to find the therapy for cancer, but all failed. And myself, I never expected my research, working on the immune system, would lead to the cancer therapy. But, in a sense, I’m very fortunate that I also thought about it. You know, you have to try many things and if you’re lucky you can hit, but you have to pursue. That’s my feeling. AS: And what is your hope for the future of immune checkpoint inhibitors? TH: Well there are still several problems, but two are most important. One is, still only 30% of patients are responding, so we wish to have some biomarkers to predict whether he or she is responsive or not. Secondly, definitely we wish to improve the efficacy of this treatment, and I’m sure this is a target of many, many scientists in the companies. So I believe these two problems will be solved in the near future. AS: That’s a very hopeful message, and indeed I think the award of the prize is a very hopeful sign for a very large number of people around the world today. TH: I think so. It’s encouraging, and we need the power of many, many people to push this therapy in a really satisfactory level. This is just the beginning of the whole story. AS: Well thank you very much indeed. We greatly look forward to welcoming you to Stockholm in December. TH: Oh, yes, yes, I’m looking forward to that. AS: It’s very exciting to talk to you, and once again, many, many congratulations. TH: Thank you very much. I really appreciate.